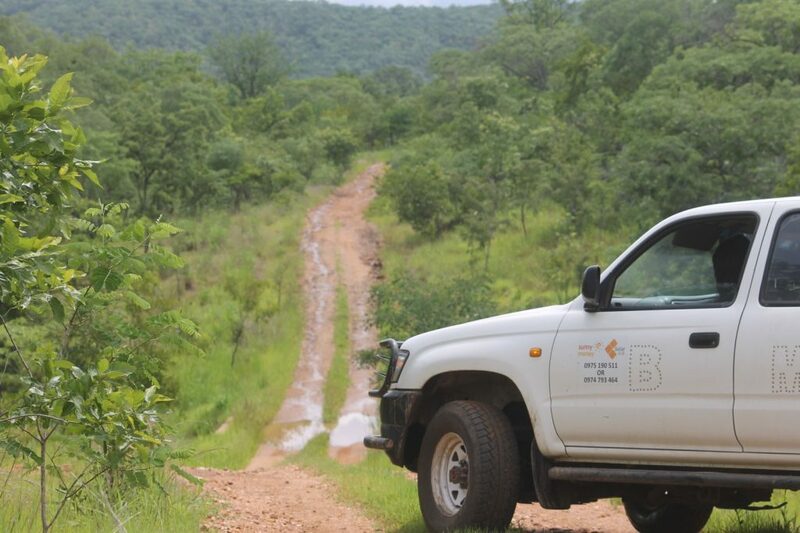 This week, I joined SolarAid’s SunnyMoney field team in Zambia, as it set out to visit a rural school in the district of Rufunsa, around four hours drive from the capital Lusaka. As you drive out of the main city, it does not take long before the world around starts to look pretty rural and you start to see more and more communities living without access to electricity lines. This is nothing new. I’ve been on countless similar journeys across the continent where the story is the same. 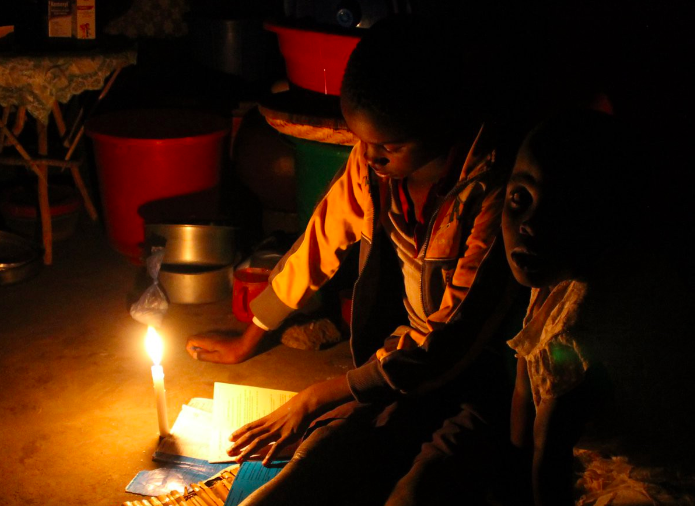 In Zambia, only a quarter of the population has access to grid electricity. This drops to less than 5% in rural areas. The Great East Road, which runs from Lusaka across the Malawian border, is in good shape for the first three hours. This changes, however, when it’s time to take the turning towards the school, another hour away through hills along a rocky, dirt, track. We’re in the midst of a delayed rainy season, but we’re lucky that it has not rained yet this morning, so while the road is bumpy and there are many water carved crevices in the road, it’s passable today. The reason we’re visiting this school is to deliver a solar light library. The library of solar lights, which the students can borrow from the school, has been designed to help them extend their day — giving pupils a chance to study or do homework after dark. This is important, as daylight is precious. During the day, time is dominated by housework, farm work and school. Much of the work around the house is generally carried out by women and girls…leaving precious little time for anything else…let alone homework. When darkness descends at around 6.30pm, for most, it’s the end of another day. Candles and battery powered torches are used by many — but neither lasts long and continually purchasing is costly. Its also inconvenient. The closest shops are hours away. Children using candles to read — this is so, so, dangerous. Falling asleep can be fatal. When we arrived at the school, it quickly becomes clear that there are not as many children studying as normal. We quickly find out why — it’s for two reasons. 1: There’s a lion nearby. We don’t see it, but we’re told that he is in the area and many families do not want to send their children to walk to school alone until this lion moves on. I try to put myself in the same position and — yep. I wouldn’t want to send my two children to school on foot if I thought there might be a risk of, well, death. Would you? 2: The second reason is that many children are needed to farm the land. Significant delays in the rains this year has meant that families have been busier than usual farming the land into January… this mas meant a slow start for school this year. This makes total sense. It also shows how changes in climate patterns can have significant knock on effects. Yet another impact of climate change. Having enough food to eat is vital. For many, school will just have to wait this year, putting many children at a disadvantage when it comes to exam time. I can only imagine how I would feel if I had to pull my children out of school to ensure that there is enough food on the table. All of a sudden, extending number of hours in the day feels even more important. Having access to solar powered lighting through the school, will provide families and their children with more time — more time to be productive. 50 lights are available to borrow from the school light library for no more than 10 Ngwee per day: 25 SM100s and 25 SolarWhat?! Once all the farm work and housework is done during the day and darkness descends, families throughout this rural community will now be lighting their homes with clean, renewable, lights, without having to worry about fires caused by candles or setting money aside to buy battery after battery after battery. With less than 5% of Zambia’s rural population with access to electricity, if we can bring more solar light libraries to the country’s schools, we could have a significant impact in so many ways. 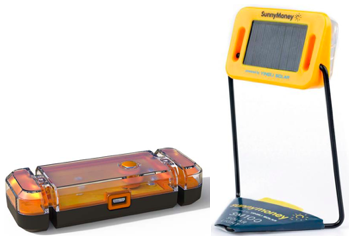 SolarAid, together with its social enterprise, SunnyMoney and other partners, is working across sub-saharan Africa, and has set a goal to ensure that, by 2030, no one is left in the dark. Not much we can do about the lion though. Hope he goes away.